Can an Ecommerce Player Offer Personal Service? If you have read our article about the disadvantages of e-commerce, you know that we rate the lack of personal touch as a huge negative. Do you think that e-commerce websites can evolve to a point where they can offer personal service to shoppers? Is that too much to expect? Or are we expecting customers to change their behavior, and no longer expect personal service? Can discounted online prices substitute personal service? What Is Personal Service, and Why Is it Necessary in a Retail Setting? Unless we are only purchasing basic commodities, Personal service can make all the difference to the customer's purchase process. Coming from an era where physical stores were the only venue to make a purchase, we proclaim to have shopped with online retailers for a shorter period than at offline retailers. 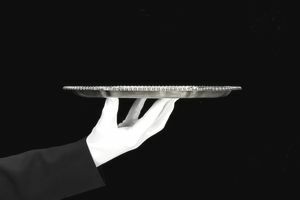 So we might be biased in our belief that personal service is highly desirable. Despite how strongly you feel about this matter, you will find the following futuristic suggestions interesting. Can Ecommerce Provide the Human Touch? When one enters a physical store, there is usually someone who smiles and greets you. Can that be emulated in an e-commerce setting? When faced with a dilemma or a problem, someone in the store empathizes with me, if not offers a solution. How do we get that at an e-commerce merchant? Is It Possible to Simulate the Customer's Need to Converse With a Salesperson? Many people are chatty shoppers. Could there be an opportunity for an e-commerce developer to create a slick piece of code that would interact with the customer during the purchase process? Can an E-commerce Website Offer Suggestions, Like a Salesperson Would? Most e-commerce websites have a widget that makes product recommendations, but that is a mechanistic approach. Would we reach a point where data mining and analytics would become sophisticated to the point where suggestions seem as if they were coming from a friend? Would a Customer Be Able to Bargain on an E-commerce Website? Many customers hate bargaining, and would rather deal with a fixed price, but bargaining drives several offline markets. This can reach a point where customers enjoy bargaining as a sport. In a limited sense, an auction website, such as eBay, offers some ability to dictate price. But research in developing true bargaining algorithms is at a nascent stage. If there were enough consumer interest, would there be some e-commerce websites in the future that would allow bargaining? Can the Ecommerce Software Offer Product Opinions to the Prospect? "Do you think this pair of jeans is too blue?" We don't know about you, but we have often asked questions of this type. And we rue the fact that an e-commerce website does not permit me to do that. Would the ​e-commerce website of the future make it possible for customers to get human-like opinions? Most of the points raised in this article would be regarded as impractical today. But if they are also regarded as desirable, then hopefully that the time will come when someone goes ahead and makes them technologically possible.